Join a #1 bestselling author and an internationally published psychologist in an entertaining look at successfully dealing with intimidating personality types. 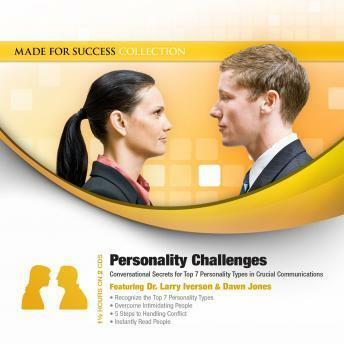 Get prepared for crucial conversations with the top seven personality types and learn how successful leaders deal with their challenges. Mastery in dealing with difficult people and tense situations is a learned skill, and through this program you will learn techniques that will allow you to easily and rapidly handle interpersonal communications issues. This knowledge will help you gain a leadership edge and stay in control during high stakes communications with every personality type. Get narration. This book offered tools and techniques on how to deal with various personalities. Can be used at home and office.